Water Willow Design is located in Chelsea, Quebec, Canada; however, their art is available in selected stores, at craft shows and in their studio. Water Willow Design focuses on screen printing, fused glass and sewn bags. 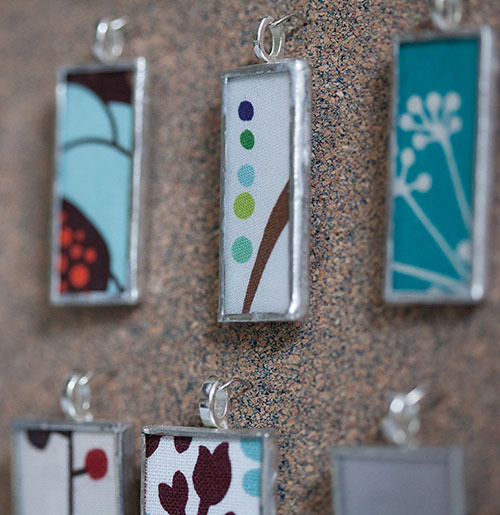 Their new line of glass uses fabric for making stunning wall hanging and pendants. Founder, Mie Shimizu, is the core of each creation and she also provides web design and photography services.